Support your local art gallery for our silent and live auction! 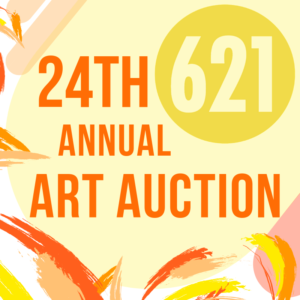 Silent auction artwork values should range from $20-$250. Live auction artwork values should range from $250-$1,000. THURSDAY, November 1st | Meet the Artists from 6:30pm – 8:30pm – come meet the artists who are exhibiting in the LIVE auction. The SILENT auction launches! FRIDAY, November 2nd | First Friday from 5:30pm – 10:00pm – join in the festivities of Railroad Square’s First Friday Art Walk, silent auction bidding continues. Tickets will be for sale for LIVE auction event. FRIDAY, November 30th | LIVE AUCTION !! 6 – 9:30 PM – Join us for a happy hour of free wine & beer and light hor d’oeuvre. SATURDAY, December 1st | SILENT AUCTION ENDS at 5pm – Winners will be announced at 5pm via phone, email or in person. Come pick up your winnings!